There are plenty of diets to choose from: the ketogenic diet, the Mediterranean diet, Weight Watchers, etc. But there’s one diet you’ve never heard of that has enabled millions of people to lose at least twenty pounds without any effort on their part: the Maduro Diet, named for Venezuelan president Nicolás Maduro Moros. Under the Maduro diet, 75 percent of Venezuela’s 32 million people lost an average of eleven kilograms (24.2 pounds) in 2017, and have probably lost more since then. When I say “without any effort on their part” I don’t mean that, as some American diets promise, they ate whatever they wanted. I mean they had no choice in the matter; there was not enough to eat. What makes the Maduro diet even more tragic is that Venezuela sits on the world’s largest proven oil reserves, ten percent higher than Saudi Arabia’s. Yet its people are slowly starving. To put it mildly, Venezuela is a mess. To begin to understand how and why this happened, it helps to make sure that we are actually talking about Venezuela. Let’s start with the basics: The country’s official name is la República Bolivariana de Venezuela, “the Bolivarian Republic of Venezuela,” not “Socialist Venezuela,” or “The People’s Republic of Venezuela.” And its capital is Caracas, not Washington, Albany, or Sacramento. The snark and pedantry is necessary because virtually all of the coverage of the humanitarian crisis in Venezuela precedes from the question: What does this mean for the United States? Conservative media depicts the suffering of the Venezuelan people as a cautionary tale for the United States about what could happen if Bernie Sanders or, more recently Alexandria Ocasio-Cortez (whose name conveniently sounds like it could be Venezuelan) should come to power. This ethnocentrism makes little, if any effort, to understand the origins of the Venezuelan crisis or anything about Venezuela itself, for that matter. Thus, anything it has to say about what’s going on in Caracas is, to borrow H.L. Mencken’s formulation, “clear, simple, and wrong,” and of no use to the people suffering. In December 14, 1922, an oil well known as Barroso Number 2 on the shores of Lake Maracaibo erupted with oil. The event, which came to be known as El Reventón del Barroso 2, marked the birth of the Venezuelan oil industry. By 1928, Venezuela was the world’s largest oil and gas producer. Other sectors of the economy, especially agriculture, diminished as oil dominated the entire economy, and Venezuela became a “petrostate,” which are characterized by, among other things, weak and unaccountable political institutions, power concentrated in the hands of a tiny elite, and the corruption that goes with both. This wasn’t inevitable. For a period from the late 1950s through the late 1970s, Venezuela seemed to have avoided this trap. After a series of military governments, Venezuelan democracy had taken off and the country’s per capita GDP was not far behind that of the United States and ahead of West Germany’s. Then, almost as quickly as they began, the good times came to an end. One of the factors often cited is the 1976 nationalization of the oil industry by then-president Carlos Andrés Pérez Rodríguez. While the impact of nationalization on the oil industry was, at least initially, limited, it is said to have opened the door to massive corruption: By one estimate, $100 billion in oil income was “wasted or stolen” over the next two decades. People were nostalgic for the good times and the days of “¡Ta barato!, ¡Dame dos!” This, in turn, paved the way for Hugo Chávez. Specifically, it paved the way for what came to be called “Chavismo.” Chavismo is what people who warn us about the perils evils of Venezuelan-Sanderian-Ocasian “socialism” are talking about, or least would be if they had any idea what they were talking about. While Chavismo has some socialist elements to it, citing it as an example of what socialism writ large looks like is a bit like citing the Book of Mormon or The Watchtower as examples of Christian Theology. The superficial resemblance and shared vocabulary should not obscure the large differences. The experts that Chávez hated most were the technocrats that ran Venezuela’s national oil company, PVSDA. They became the scapegoats for the country’s downward economic spiral. He would announce their dismissals on national television to drive home his point that they, and not his corruption and incompetence, were the cause of people’s problems. And Chávez was both. 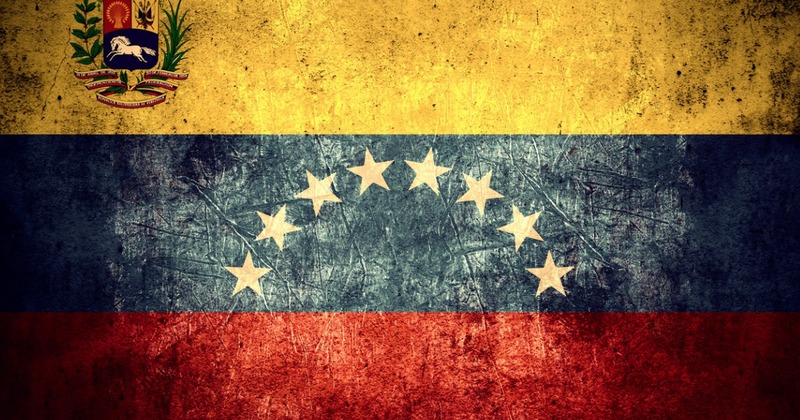 In 2012, the last full year of his presidency, Transparency International ranked Venezuela 165th of 176 nations on its Corruption Perceptions Index. Still, his charisma kept his opponents mostly in check until he died in 2013. Then the reins of power passed to his hand-picked successor, Nicolás Maduro. While his predecessor was the object of almost religious devotion among some Venezuelans, Maduro (“ripe” in Spanish) is often called “Maburro” (“Ma-donkey”) by his countrymen and with good reason. It’s as if, when Chávez was being taken into the heavens on his flaming Cuban chariot and Maduro asked him for a double portion of his spirit, Maduro got twice the incompetence, corruption, and authoritarianism, and none of the charisma. Under Maduro, things have gone from terrible to apocalyptic: inflation has gotten so high that vendors weigh money instead of counting it; that is, when they have something to sell. And since he is Maburro, Venezuelans who were intimidated into silence by his predecessor’s charisma have resisted him in ways they didn’t before. In response, he undermined what was left of Venezuela’s democratic institutions, including the country’s Supreme Tribunal which assumed the powers previously held by the National Assembly. After the Tribunal backed down, he created a new body which drafted a new constitution that, not coincidentally, stripped the National Assembly of its powers. Last year, Maduro was “re-elected” president in a vote that was, to put mildly, contested. Among the countries that recognized the results were Cuba, China, Russia, and Iran, along with Mexico and Uruguay. Those who didn’t included the United States, Canada, Argentina, and the Organization of American States. Meanwhile, the people of Venezuela continued to add holes to their already too-large belts. In the past few weeks, the United States has imposed sanctions on Venezuela’s oil industry, or what remains of it. It also threw its support behind the “loser” of last year’s presidential election, Juan Guaidó Márquez, the leader of the National Assembly, as did Canada and the European Union. As with the 2018 elections, Russia and China have lined up in support for Maduro, the latter because of its large investments in Venezuela’s oil industry, among other things. There has been crazy talk about the United States intervening militarily in Venezuela, which, to cite yet another thing you probably didn’t learn in school, would not be the first time the United States risked a potential military conflict with a foreign power(s) over Venezuela. In 1895, the U.S. accused Britain of violating the “Monroe Doctrine” (those are scare quotes) in a dispute over the borders between Venezuela and then-British Guiana. Then, it was the United States defending the sovereignty of Venezuela against encroachment by an Old World power. This time, the shoes would switch feet. Which could be what Maduro wants because you should never underestimate the power of anti-Americanism in Latin American politics. Making the opposition look like peones de los Yanquis might help him rally people to his side. As I said at the top, Venezuela is a mess. And it’s a mess that we risk making worse, which is what you should expect when you think that its capital has an NBA team with De’Aaron Fox as its starting point guard.